Capping off a spectacular regular season, the Eastern Conference champion Milwaukee Bucks are gearing up for a postseason run with home court advantage. Tickets will be a hot commodity, and many Wisconsinites will hit the ticket outlets to get a seat for the action. If history tells us anything, scammers will use this demand in their ploys. 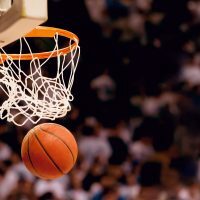 The Wisconsin Department of Agriculture, Trade and Consumer Protection (DATCP) asks Bucks fans to seek tickets from official sources and to be on the lookout for phony ticket offers. According to the Bucks organization, the only means of buying “verified” playoff tickets (where you are guaranteed to get the seat that you buy) from either the team or from other fans is through Ticketmaster (nba.com/bucks or ticketmaster.com). The Bucks website also notes that holders of counterfeit tickets or tickets with invalid barcodes will be denied entry to the Fiserv Forum. If you are buying from a third-party, ask specific questions about the seats and do some research to ensure that the seat location exists in the arena. Fake tickets may include misspellings, have low-resolution graphics, and be short on details about the event. Make sure the ticket includes the correct date, time, location, and seating details. Use a secure method of payment such as a credit card rather than cash, check, or debit card to purchase tickets since it may provide some protection if you do not receive the tickets. Do not give out your credit card number to someone you don’t know or trust. If you plan to buy tickets from an online classified ad, ask to meet the seller in person at a secure location like a police station. If the seller refuses, it is likely a scam. Keep your tickets off social media. If you post pictures of your tickets online, the image could be used by a scammer to make a counterfeit ticket. That ticket could be sold to another fan and you could be out a seat, or that other buyer could be ripped off.